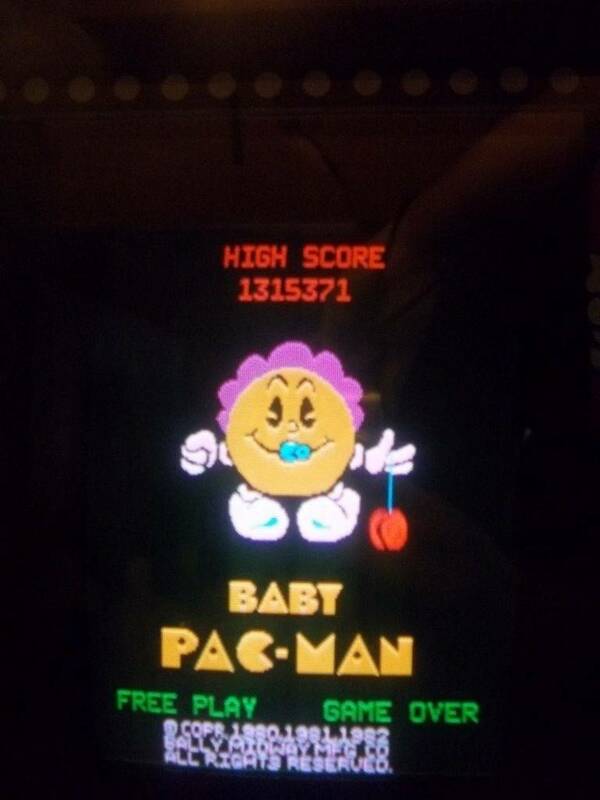 Baby Pac-Man (Gangsta Baby). New pictures posted May 15th. 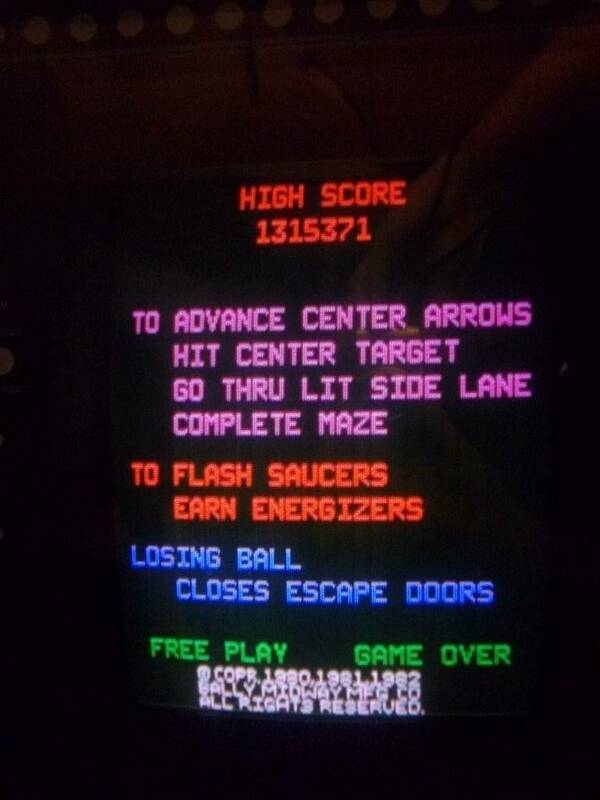 Fun game, which fits where a regular machine would be too big. Baby needs a new home. 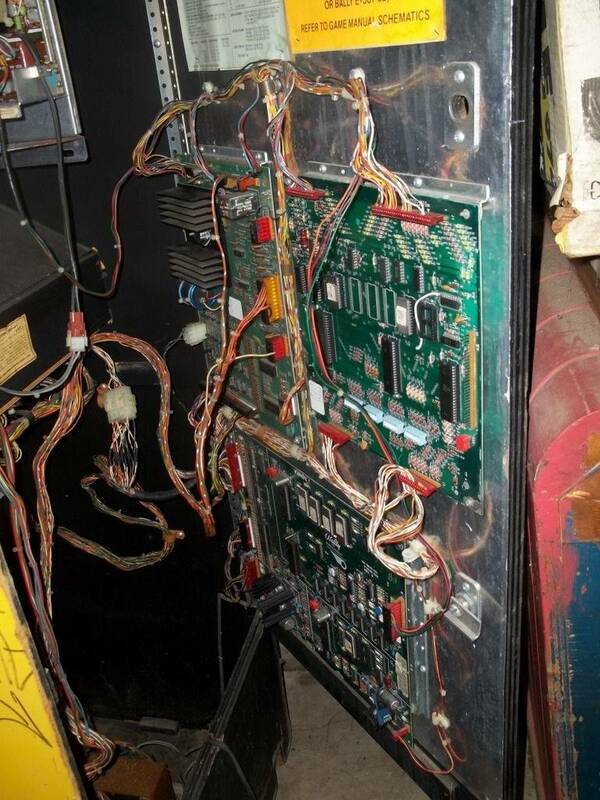 The game comes up, has a working monitor, and a solid dry cabinet (no swelling). Restoration parts are available online. Garage stored, no stairs to navigate. 10 Miles from Allentown PA. 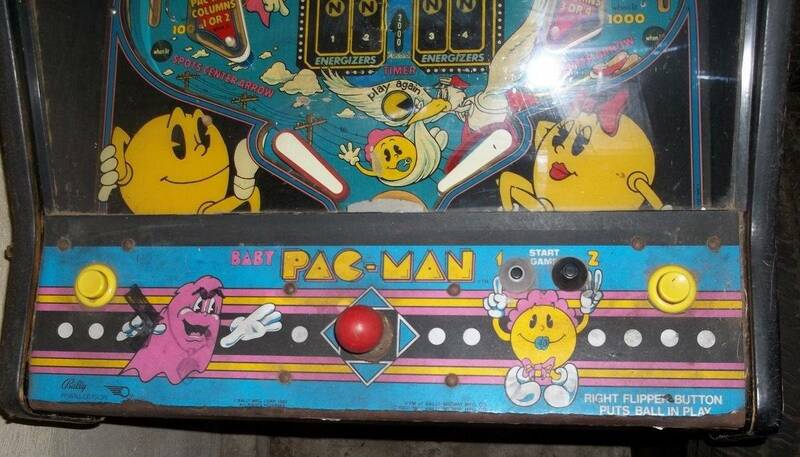 This baby was rescued many years ago from a Philly crack house. 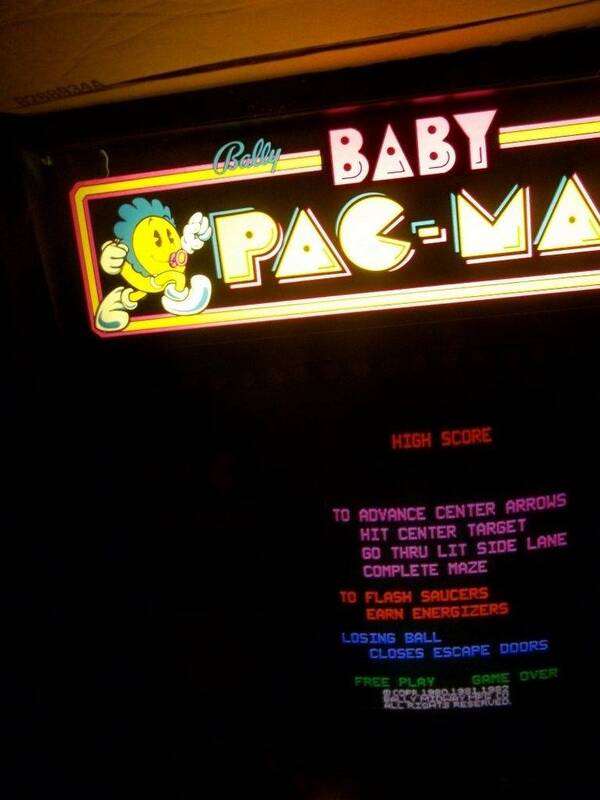 A friend calls it "Crack Baby", although I prefer "Gangsta Baby". We didn't find any drugs, but we did find dozens of tiny new zip-loc bags inside the cabinet. The monitor and the game started up ok last year. 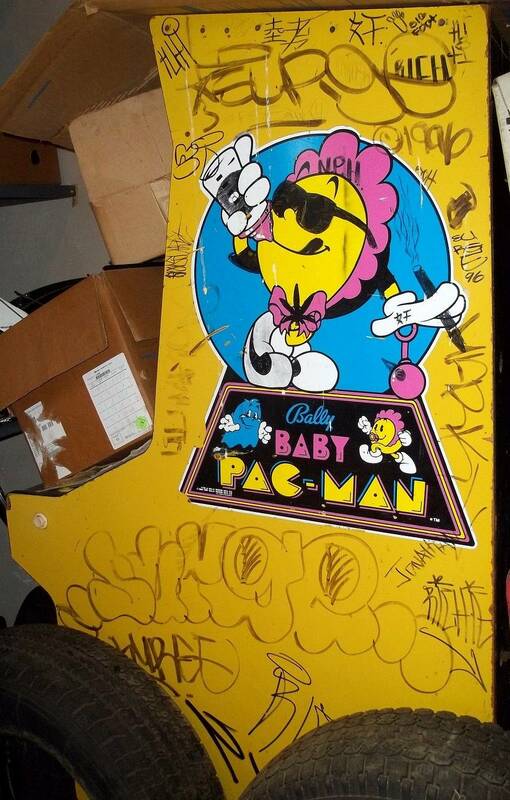 The boards had been stored indoors since then, and were used for testing a 2nd Baby Pac-Man. Put it all back together today (May 15th), and the machine comes up (see pics). Solid cabinet, which would offer a good foundation for refinishing and rebuilding. It might clean up with Goof-off or a similar product, or keep it as it is for a unique look. Can see some nails were added on the right side, up along the top. Needs vacuuming. 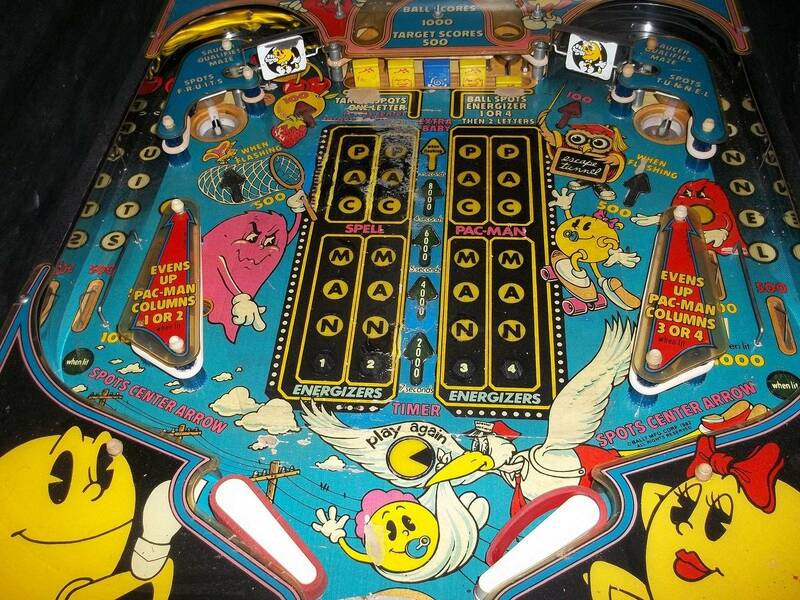 The center of the playfield has mylar, (with some lifting), which an operator placed over touch-ups. The backglass is good, with slight surface rust on the lift bar, and perhaps a small area of separation on a bottom edge (from memory). 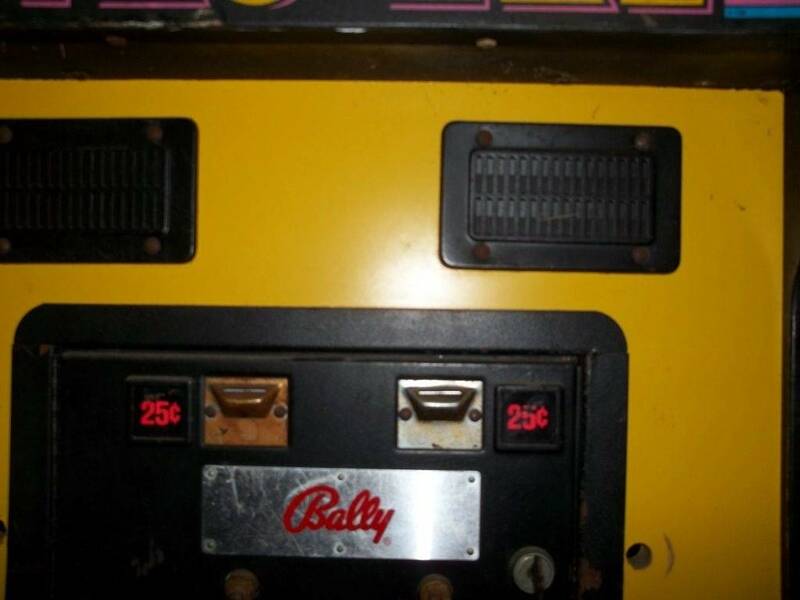 The game was set up for free play at the 2001 Allentown pinball show, and has been stored in our garage ever since. Sorry about the potato pics, the game is in the back of the garage. These are Biffbar's all time market stats. Actually pretty cool, love the history on that thing. If it was mine i'd leave it. Love that kind of stuff. Wow this is pretty cool... hahaha. 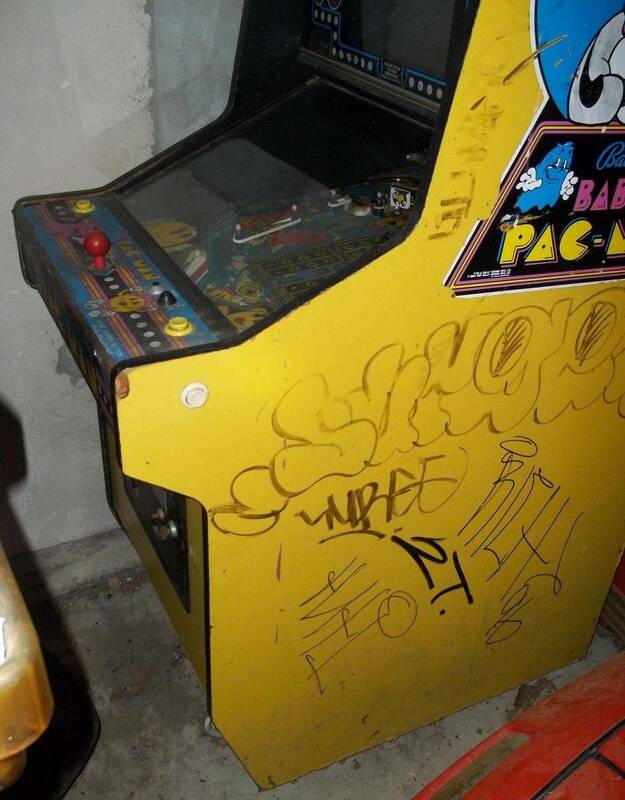 I bet if you sold the graffiti side art as a mod a bunch of pinsiders would pay $200+ for it. 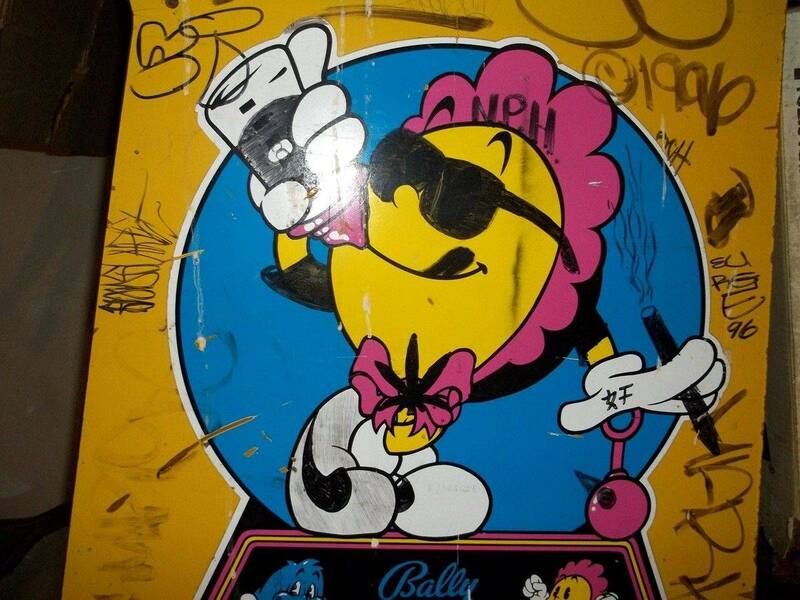 I'm digging this gangsta baby pac man. Have several parties interested, but no firm commitments. So Baby is still waiting for a buyer to show up with the right amount of cash. There is a little more to the Gangsta Baby story. I remember talking with the guy who sold me the game. This was one of those deals, one of those houses, where he could not wait to get the game and get out ASAP. Have more items listed in the Allentown Show Sale thread, including the "Folk Art" Black Knight. Price reduced, Show Special BUMP. 10 miles from the Allentown show. Have many inquiries, but no firm commitments. 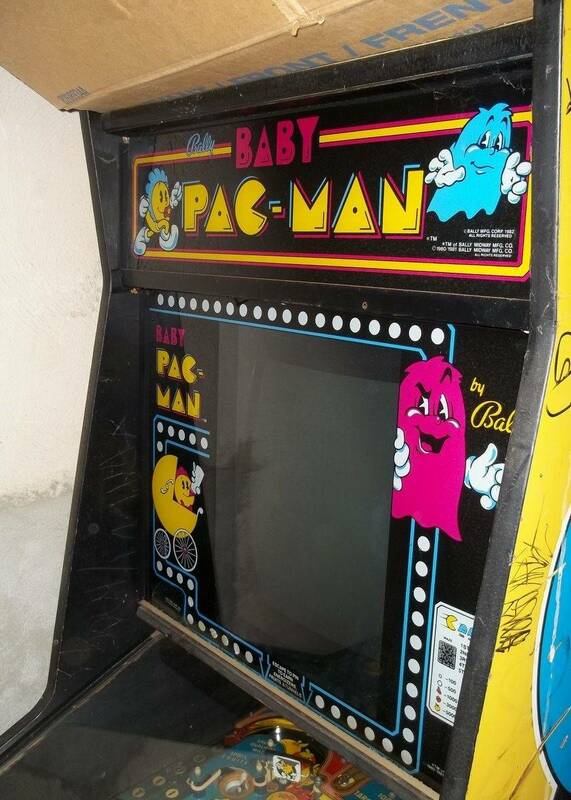 So Baby is still waiting for a buyer to show up with the right amount of cash. 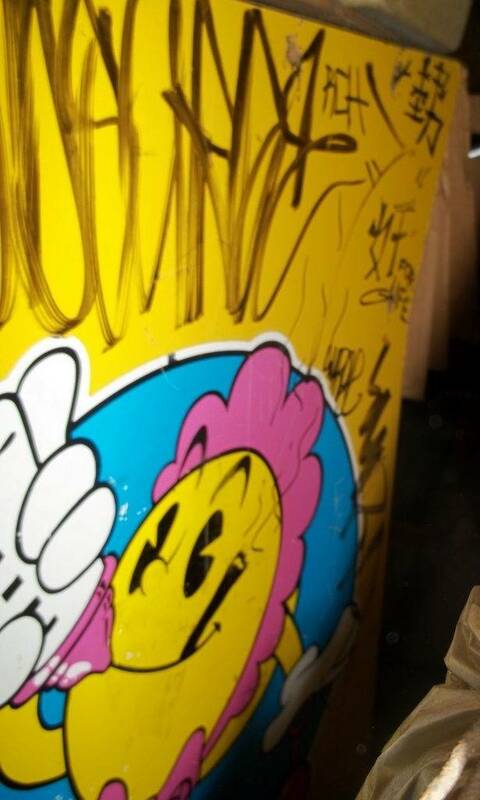 Have more items listed in the Allentown Show Sale thread. The "Folk Art" working Black Knight pin has been sold. New pictures posted up today. 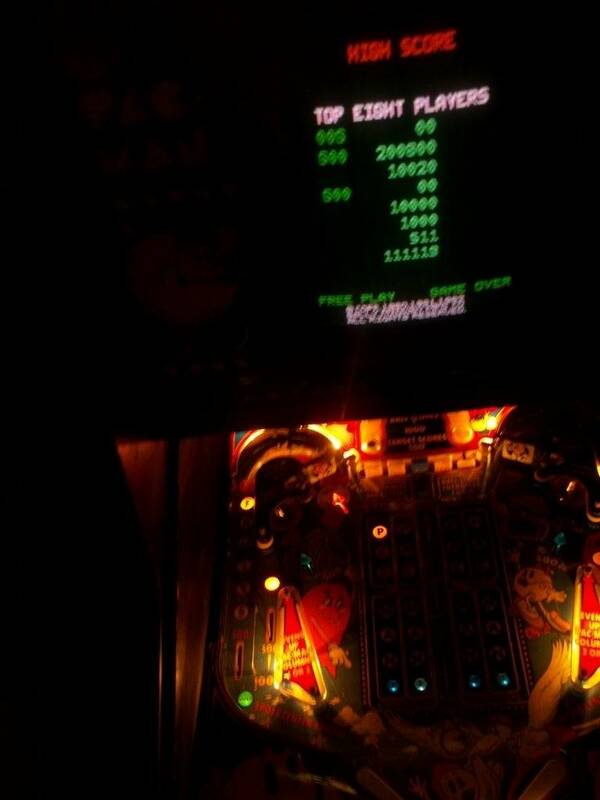 Put the game boards back into the cabinet & it started right up. Should make a good project for someone. If it was on the other side of the state, I would own it now. The drive is just too far from Detroit. I'm taking this gangsta baby home soon! Will document in a thread as restoration progresses. Coming soon! Congrats, I will watch as you restore.